For an Ideal countryside look, you must have a rooster figurine at home. If you are looking for one then take a look at this beauty. This ceramic rooster would be a perfect addition to your country themed home. With a glossy finish, it will add shine to any dull or boring room. This rooster is elegantly constructed which makes it look realistic. You can exhibit this rooster on your shelves, side tables or any bare space. Rest it on your kitchen counter or your dining table it will not go un-noticed. 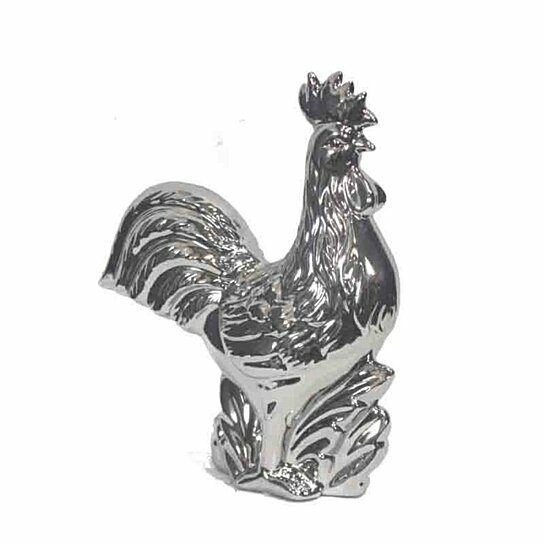 This rooster figurine is perfect to be placed on any tabletop or floor.